Facebook's Sheryl Sandberg keeps on leaning in. On Thursday, her nonprofit group LeanIn.Org launched a new initiative to encourage women to help each other advance their careers. 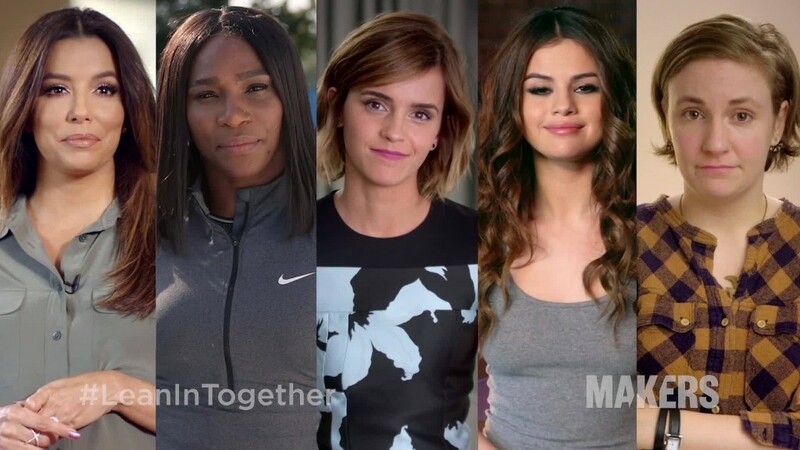 To set the tone, the campaign has produced a video featuring successful women, from actress Emma Watson to tennis star Serena Williams, thanking the women who supported them in their careers. "So many women are lending their voices to this campaign because they have benefited firsthand from the support of other women and know what a difference it can make," said Sandberg, who's Facebook's COO and the founder of LeanIn.Org. The idea is to inspire women to band together and eradicate the myth that women are other women's worst enemies. Sandberg said in an interview with ABC's Good Morning America that aired on Thursday morning. "When two men have a disagreement at work, they're having a substantive disagreement. When two women have that same disagreement at work, it's a cat-fight," said Sandberg. "We need to understand that women can speak with strong voices and that doesn't make them mean." The campaign aims to recognize what Sandberg says is already happening: That women help other women at work. Women often get less credit for their accomplishments and are penalized for promoting their own work, the organization noted in a statement. To mitigate that, women should be mentoring each other every step of the way. Related: How many women are in the C-Suite? Sandberg launched her organization after publishing her book, "Lean In," in 2013, which urged women to empower themselves in the workplace by standing up as leaders. Corporate America has few female CEOs, and the pipeline of future women leaders is alarmingly thin. Only 14.2% of the top five leadership positions at the companies in the S&P 500 are held by women, according to a CNNMoney analysis last year. "At the current pace it will take more than one hundred years to reach gender parity in the C-suite," Sandberg said. "We can't wait that long for change, which is why women have to act now." The gender pay gap in the U.S. is still abysmal, with women earning roughly 79 cents to every dollar their male counterparts make.